Some find kombucha to be an acquired taste, but I’ve grown accustomed to the tart, almost vinegar-y flavor. Kombucha is usually made from water, tea, sugar, flavoring, and a SCOBY (Symbiotic Culture of Bacteria and Yeast). Because it’s fermented, kombucha may contain trace amounts of alcohol. 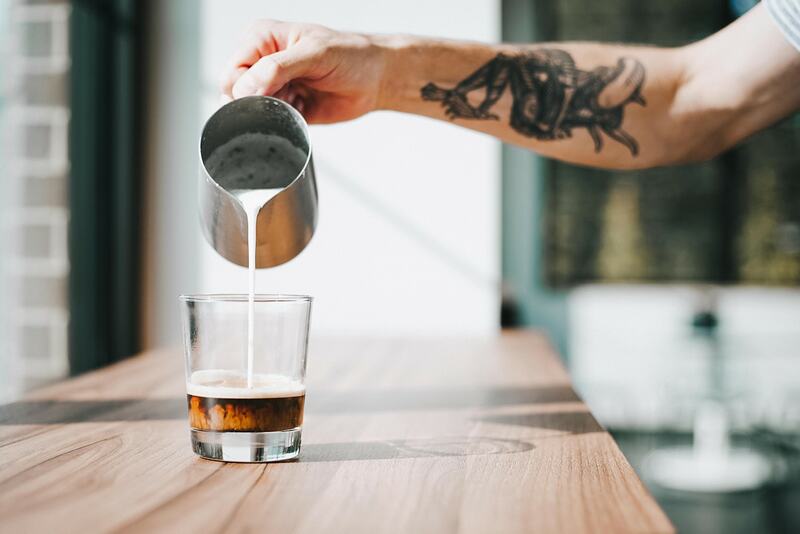 At around $4 a bottle, kombucha isn’t a budget-friendly alternative to coffee – unless you’re already buying a $4 latte a day, or are willing to brew your own kombucha (which I’m not, because I’m afraid of poisoning myself with DIY fermenting). Taste factor: Like vinegar or sour beer. Who’s up for balsamic shots?! Energy level: I definitely feel a little pep when I drink kombucha, but that’s probably due to its fizzy nature and my taste buds reacting violently to the intense taste. My favorite coffee alternative is Dandy Blend!! It’s roasted dandelion root so it has a very similar taste to coffee AND it supports the liver. It doesn’t have any caffeine so it’s more of an alternative for the taste rather than for the pep in your step. The only down side for me is the actual ritual of making coffee is lost. I like to grind my own beans, heat up water, and pour into a french press. Every step is needed for my satisfaction however, with Dandy Blend it’s just a powder you scoop, add hot water, and stir. Check it out and let me know what you think. Oh, wow. Awesome ideas. I have no plans of giving up my coffee as of now, but who knows about the future? 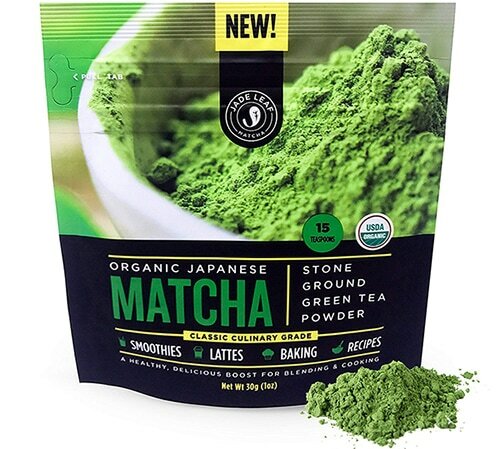 These sound like some really great alternatives to coffee, I keep hearing a lot about matcha that is something I should really think about trying sometime. I’ve heard nothing but good things about matcha. I really like the flavor of it. I’m a big coffee drinker myself but the matcha is a close second. I’ve been looking into coffee alternatives because I definitely had some pretty bad crashes from all the sugar rushes. My caffeine intake has been overwhelming. Thanks a bunch for making such a great post! I had no idea that kombucha contains a small amount of caffeine! I had never heard of the third thing you listed, and have had better experiences than you with the first two…but I still love my coffee (and my caffeinated teas as well)! I love the coffee alternatives and I will have to give them a try. I just really enjoy the taste of coffee in the morning too, but the Matcha would be perfect in my breakfast smoothie!!! We love coffee but alternatives are great. 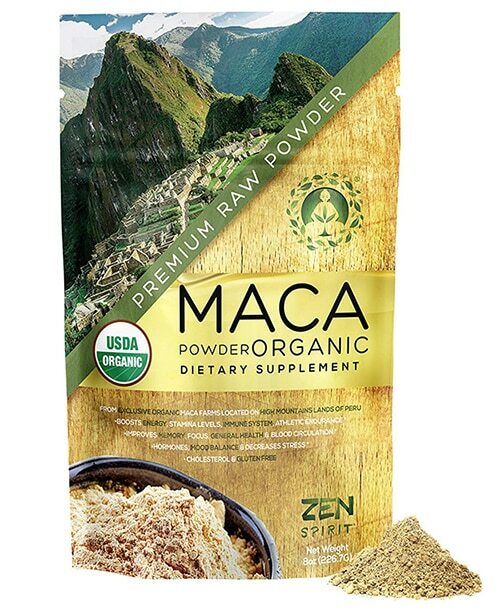 We love to add maca to our smoothies for extra energy as well. I have heard a lot about Matcha. I have wanted to check it out as I honestly am not much of a Coffee fan. But your review gives me pause. On the other hand, I really love Kombucha. I don’t know why but I do. Kombucha is one of my favorite things ever! I have a bottle almost every day and it helps keep me healthy and well. Matcha is a new one to me, but one I’ve been wanting to try for a while.